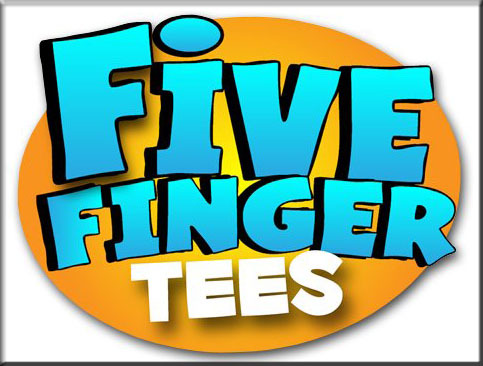 "FiveFingerTees.com opened in July, 2009 and is completely family owned and operated. We offer a wide variety of movie/TV, pop-culture inspired and down right funny t-shirts that won't break the bank! Our philosophy is simple, we do all the work! From customer service, designing, printing, photography, shipping, web site design, and trying to watch our kids at the same time! By doing this, we keep our overhead really low which gives you the customer a great deal, without having to sacrifice on quality." Hubby and I actually spent some time browsing through their site and we laughed together over the hilarious phrases on their tees. 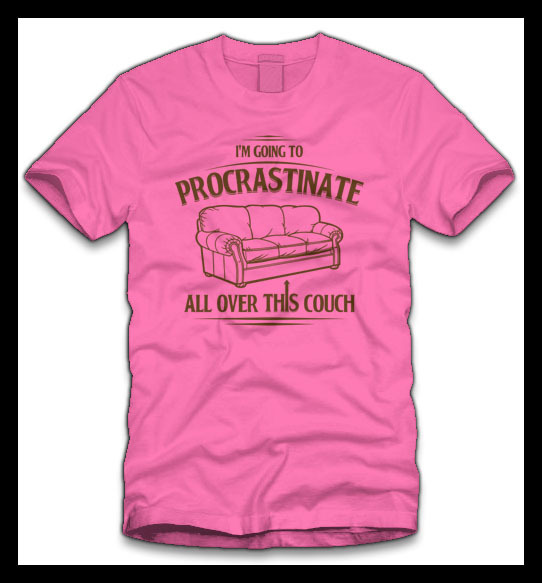 Of all the cute and funny designs they have, I chose the "I'm Going to Procrastinate All Over This Couch" shirt in Pink. 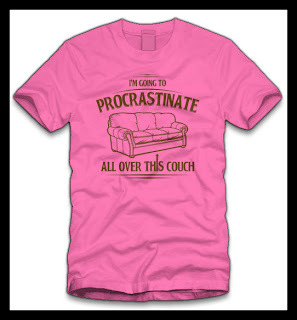 Obviously because I love pink and I'm a big time procrastinator, lol! I thought it's cute and really funny. I was very impressed with the quality of this shirt when it arrived. It's made of soft preshrunk 100% cotton with double-needle stitching throughout and a seamless rib at neck. And they are profesionally screen printed in the U.S.A. I think this would be perfect for summer since they allow your skin to breathe and you don't feel too hot when you wear this out in the sun. I love how easy the ordering process was. They have assorted wonderful colors to choose from. And most of their shirts only cost $11.99. That's way cheaper than the ones you can find in department stores of lesser quality. Plus you get Free Shipping when you order for more than $50.00. Did you seriously think we sold half shirts? Anyway, so this wasn't a complete waste of your time here is a picture of some dude in a half shirt for you to enjoy. LOL! This cracked me up when I saw this. Anyway, if you're looking to find funny captioned shirts for personal use or even gift ideas, check them out. You can like them on Facebook as well, for more product updates. *Disclosure: The product mentioned above was given to me for product endorsement/product review purposes. I did not receive any financial compensation to make this review. My opinions are my own and may differ from yours. Sure the tees are very comfy. I'd love to have one too. 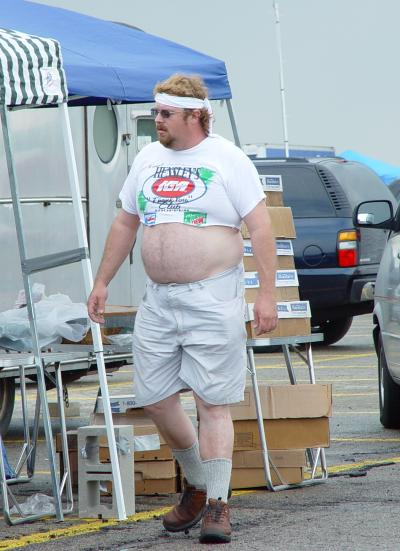 Just like you, T shirts is my favorite to wear. It's simple and comfortable to use. I like your shirt with cute message on it. Hahaha, very nice belly lol. 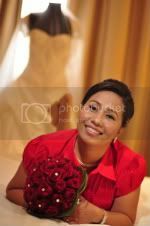 I like the design of your choice! just recently i bought few tee to wear at home.. and i am planing to buy more soon.. by the way i like your pink tee..
great review about the shirt! I like five finger tees too...they're hilarious and great quality.